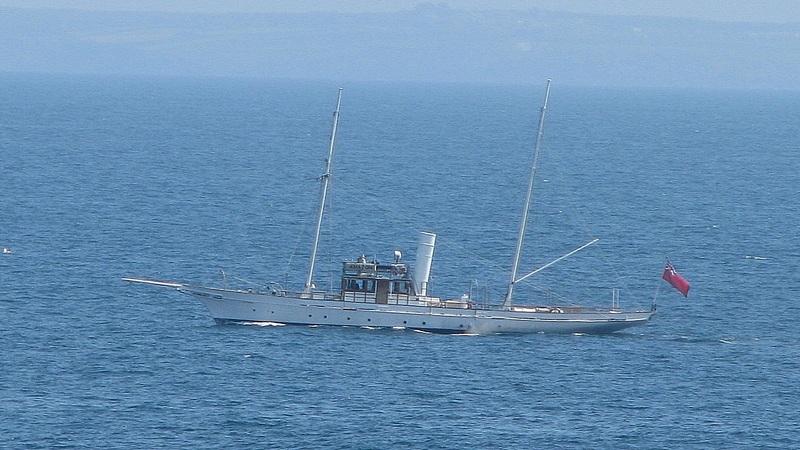 Mike over in Mousehole has just sent me his photo of this superb vessel Amazon - taken when she was in Mount's Bay today. Here's some info. 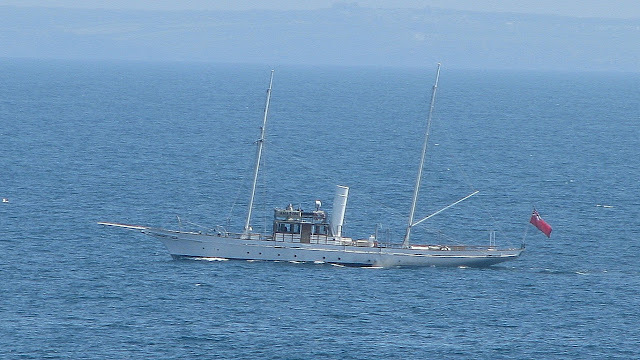 The British screw schooner Amazon was built at Southampton in 1885 from designs by the renowned Dixon Kemp. Kemp intended her to be fast and a good seaboat. Arthur Lowe (1915 — 1982) an English actor best known for playing Captain George Mainwaring in the popular British sitcom Dad's Army bought "Amazon" as a houseboat in 1968, but realized her potential and took her back to sea in 1971. He used Amazon as a floating base while touring coastal theatres, accompanied by his wife Joan. Amazon pursued a successful charter business in the 1980s, before migrating to the north of Scotland in 1990. She headed out from us yesterday Sue. She's off to see the Queen on the Thames this weekend - look out for her on TV!